CG Vyapam Answer Key 2019: Patwari Answer Key 2019 is available now for CG Vyapam Patwari Exam 2019. The exam was organized by CG Vyapam: Chhattisgarh Professional Examination Board (CGPEB) . CG Vyapam Patwari Answer Key 2019: CG Vyapam: Chhattisgarh Professional Examination Board (CGPEB) has issued the Answer Key on 26 Mar 2019 for CG Vyapam Patwari Exam 2019. Answer Key can be accessed from the link given below. 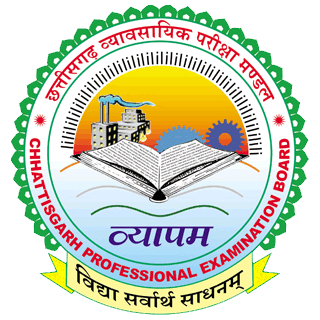 CG Vyapam Chhattisgarh TET Answer Key 2019: CG Vyapam: Chhattisgarh Professional Examination Board (CGPEB) has issued the Answer Key on 18 Mar 2019 for CG Vyapam Chhattisgarh TET Exam 2019. Answer Key can be accessed from the link given below. CG Vyapam Sub Engineer Final Answer Key 2019: CG Vyapam: Chhattisgarh Professional Examination Board (CGPEB) has issued the Answer Key on 09 Mar 2019 for CG Vyapam Sub Engineer Final Exam 2018. Answer Key can be accessed from the link given below. CG Vyapam Radiographer (HSR) Answer Key 2019: CG Vyapam: Chhattisgarh Professional Examination Board (CGPEB) has issued the Answer Key on 08 Mar 2019 for CG Vyapam Radiographer (HSR) Exam 2019. Answer Key can be accessed from the link given below. CG Vyapam Lab Technician (HSLT) Answer Key 2019: CG Vyapam: Chhattisgarh Professional Examination Board (CGPEB) has issued the Answer Key on 08 Mar 2019 for CG Vyapam Lab Technician (HSLT) Exam 2019. Answer Key can be accessed from the link given below. CG Vyapam FNDM Answer Key 2019: CG Vyapam: Chhattisgarh Professional Examination Board (CGPEB) has issued the Answer Key on 26 Feb 2019 for FNDM Exam 2018. Answer Key can be accessed from the link given below. CG Vyapam PMSE Answer Key 2019: CG Vyapam: Chhattisgarh Professional Examination Board (CGPEB) has issued the Answer Key on 18 Feb 2019 for PMSE Exam 2018 which was conducted on 03 Feb 2019. Answer Key can be accessed from the link given below. CG Vyapam CAP18 Answer Key 2019: CG Vyapam: Chhattisgarh Professional Examination Board (CGPEB) has issued the Answer Key on 29 Jan 2019 for the exam. Answer Key can be accessed from the link given below. CG Vyapam Hardwear Engineer Answer Key 2019: CG Vyapam: Chhattisgarh Professional Examination Board (CGPEB) has issued the Answer Key on 19 Jan 2019 for CG Vyapam Hardwear Engineer Exam 2019. Answer Key can be accessed from the link given below. CG Vyapam Assistant Registrar & Computer Programmer Answer Key 2019: CG Vyapam: Chhattisgarh Professional Examination Board (CGPEB) has issued the Answer Key on 19 Jan 2019 for CG Vyapam Assistant Registrar & Computer Programmer Exam 2019. Answer Key can be accessed from the link given below. CG Vyapam HCD 2018 Model Answer Key: CG Vyapam: Chhattisgarh Professional Examination Board (CGPEB) has issued the Answer Key on 02 Jan 2019 for CG Vyapam HCD Exam 2018. Answer Key can be accessed from the link given below. CG Vyapam HCEP 2018 Model Answer Key: CG Vyapam: Chhattisgarh Professional Examination Board (CGPEB) has issued the Answer Key on 02 Jan 2019 for CG Vyapam HCEP 2018 Model Exam. Answer Key can be accessed from the link given below. CG Vyapam SAAF Revised Answer Key 2018: CG Vyapam: Chhattisgarh Professional Examination Board (CGPEB) has issued the Answer Key on 14 Dec 2018 for CG Vyapam SAAF Revised Exam 2018. Answer Key can be accessed from the link given below. CG Vyapam FVD Answer Key 2018: CG Vyapam: Chhattisgarh Professional Examination Board (CGPEB) has issued the Answer Key on 14 Dec 2018 for CG Vyapam FVD Exam 2018. Answer Key can be accessed from the link given below. CG Vyapam SGST 2018 Answer Key: CG Vyapam: Chhattisgarh Professional Examination Board (CGPEB) has issued the Answer Key on 01 Nov 2018 for CG Vyapam SGST Exam 2018. Answer Key can be accessed from the link given below. CG Vyapam AGDO Answer Key 2018: CG Vyapam: Chhattisgarh Professional Examination Board (CGPEB) has issued the Answer Key on 30 Oct 2018 for AGDO Exam 2018. Answer Key can be accessed from the link given below. CG Vyapam CAP Answer Key 2018: CG Vyapam: Chhattisgarh Professional Examination Board (CGPEB) has issued the Answer Key on 30 Oct 2018 for CG Vyapam: Chhattisgarh Professional Examination Board (CGPEB) CAP Answer Key 2018. Answer Key can be accessed from the link given below. CG Vyapam SAAF18 Model Answer Key 2018: CG Vyapam: Chhattisgarh Professional Examination Board (CGPEB) has issued the Answer Key on 25 Oct 2018 for the exam. Answer Key can be accessed from the link given below. CG Vyapam HSSN Answer Key 2018: CG Vyapam: Chhattisgarh Professional Examination Board (CGPEB) has issued the Answer Key on 06 Oct 2018 for HSSN Exam 2018. Answer Key can be accessed from the link given below. CG Vyapam BAMS 2017 Final Answer Key 2018: CG Vyapam: Chhattisgarh Professional Examination Board (CGPEB) has issued the Answer Key on 04 Oct 2018 for the exam. Answer Key can be accessed from the link given below.